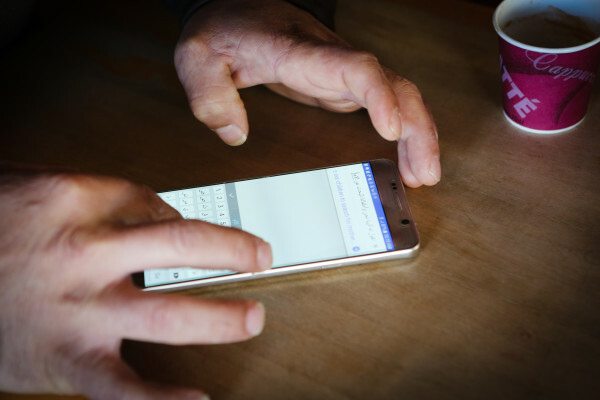 Nadir Alzoubi and daughter Hajar, 9, use a translation app on his phone to communicate with a reporter in their Munjoy Hill apartment in Portland last month. 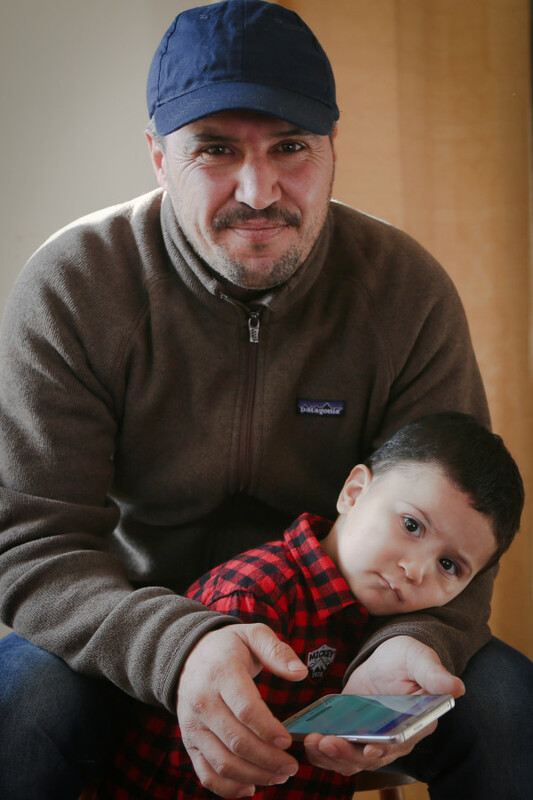 Alzoubi and his family, including his youngest child, Omar, 2, (pictured) were among the first Syrian refugees resettled in Maine since the outbreak of the county’s civil war. 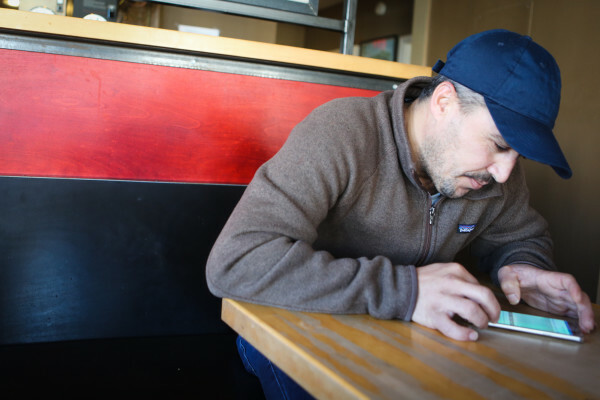 Nadir Alzoubi uses a translation app on his phone to communicate with a reporter at a coffee shop in Portland last month. 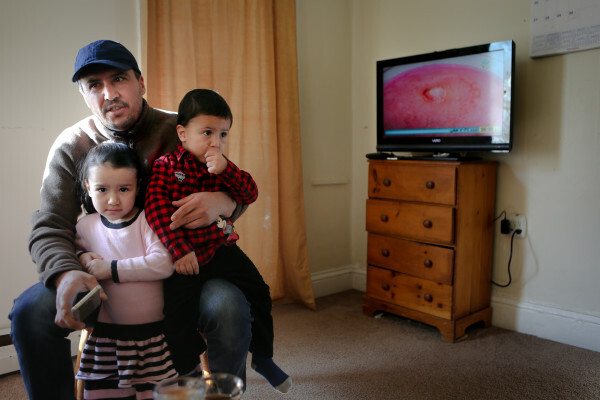 Alzoubi and his family, including his wife, Jamila and their four children, were among the first Syrian refugees resettled in Maine since the outbreak of the county’s civil war. Nadir Alzoubi sits in his Portland living room last month with his son, Omar, 2. Alzoubi and his family were among the first Syrian refugees resettled in Maine since the outbreak of the county’s civil war. Nadir Alzoubi sits in his Portland living room last month with his son, Omar, 2, and daughter Sundus, 4. Alzoubi and his family were among the first Syrian refugees resettled in Maine since the outbreak of the county’s civil war. As we finish 2016, our thoughts at the BDN turn to the interesting people we met throughout the year. It’s been our privilege to share the snapshots of their lives, whether uplifting, tragic or surreal, with our readers. Yet we know the story doesn’t end with our telling, and in fact, the story often changes greatly after we’ve told it. This makes “Whatever happened to …” a common refrain not only in our newsroom, but we expect, among the public as well. That’s why, at the end of this year, we wanted to find out “whatever happened.” For the next few weeks, we’ll be touching base with several Mainers whose stories came to attention during the year. What we found may sadden, delight, or surprise. In all cases, we hope you enjoy them. You can read more of their stories here. PORTLAND, Maine — Four nights a week, Nadir Alzoubi walks to an Old Port restaurant to scrub dishes. It’s a familiar routine that stands in stark contrast to the chaos that led him here. As of Monday, it has been four years since Alzoubi and his then-pregnant wife Jamila fled Syria, looking for a safe place for their third child to be born. 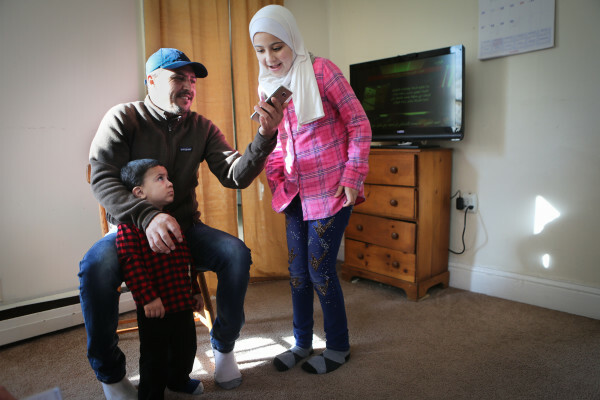 They had a fourth kid while struggling to get enough to eat in Jordan and in July were among the first Syrian refugees to be resettled in Maine since the outbreak of the county’s civil war. Four months into their new life in Portland, the family is beginning to settle into a predictable routine, despite the divisive politics of immigration in America. Since the American election, friends have told Alzoubi not to worry about President-elect Donald Trump, who called Syrian refugees a “ Trojan horse” during the campaign. And he isn’t worried. Rather, Alzoubi has a prayer for the next president: He hopes Trump will help other Syrians escape the tyranny of Syrian President Bashar al-Assad’s regime, a prospect that has becoming increasingly unlikely as Syrian and Russian forces route the remaining rebel strongholds. “The Syrian children and the Syrian women and the elders of Syria are asking [Trump] to help them and stand with them against this ungodly system,” Alzoubi said. But in a few short months, Alzoubi also has become aware of the fraught politics around immigration in America. He’s glad he quickly found work — mostly because it supplements the government aid his family receives and will help them more quickly rebuild their lives. But also because it bucks stereotypes about refugees that have festered and fed off a steady stream of anti-immigrant rhetoric from Trump and Gov. Paul LePage. 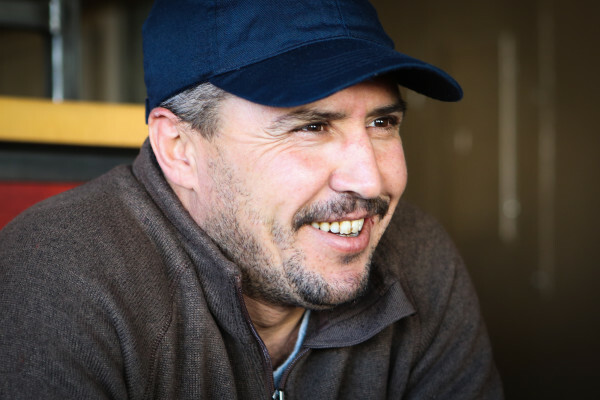 Facing the many challenges of building a new life in a strange country, Alzoubi marveled at the generosity of his “friends” — the word he uses for everyone who has lent his family aid. The workers at Catholic Charities who helped the Alzoubis get government financial support, find a home, enroll their two older children in school and sign up for adult English classes are friends. A friends gave them a computer with the language program Rosetta Stone. Others donated many of the children’s toys in the family’s modest, East End apartment. And on a bright afternoon just before Thanksgiving, they waited for their friend — a caseworker — to drive Jamila and the four children to get government IDs. Waiting in their sunny living room, Jamila served semolina cake while the couple’s 2-year-old son, Omar, sat in the safety of his father’s lap and stared wide-eyed into the lens of a BDN photographer’s camera. Nadir urged his two older daughters to show off the English they are learning in school. But the girls were shy, and their murmurs had to compete with the sound of an Arabic-language news program coming from the TV. After several minutes of listening to an anchorwoman talk over footage of tanks and a bombed out Syrian city, Alzoubi stood and switched the channel to a children’s program. “Always too much of that,” he said.